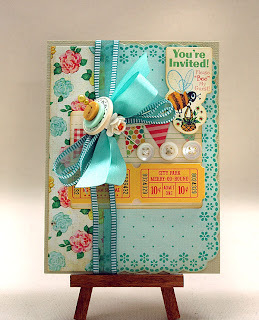 Linda here today and I am going to share a card that I created with diamond satin assortment, which you can find over here! I hope you enjoy my blog post today, enjoy the rest of your day! This card is sooo pretty!! I just love the colors of the paper! The little bee my guest die cut is adorable!! I LOVE LOVE your bow and how you used the buttons with it! Fabulous!! love the embellishments, for a super beauty. 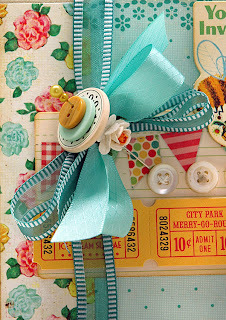 Linda, you always add to many little details and surprises on your cards! Beautiful!